Happy Halloween, and welcome to SitcomsOnline Digest! This week, we've got news of some cancellations and full season pickups, some Warner Archive updates, and more. Let's get going! 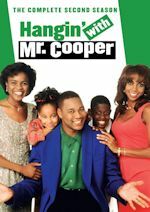 Warner Archive has been known for bringing some odd and forgotten series out of the vaults to release, and this week, they announced that a mostly forgotten classic sitcom from five decades ago, Hank - The Complete Series (the 1965 one, not to be confused with the very short-lived ABC sitcom from 2009), will be released on Tuesday. Warner Archive will also be wrapping up George Lopez on DVD sometime in November. Hank - The Complete Series (DVD, $29.99): Warner Archive brings the lost '60s sitcom out of the vaults for this release. I Love Lucy - The Complete Series (DVD, $79.99): CBS brings the classic series back to DVD in a more shelf-friendly complete series form with this release. 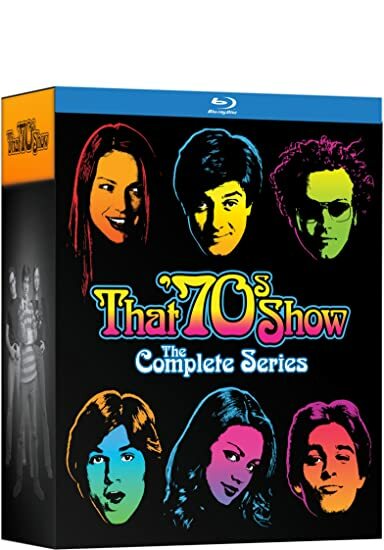 That '70s Show - The Complete Series (Blu-ray, $149.98): Mill Creek presents the entire series of the cult-favorite, with every episode on Blu-ray for the first time ever. Who to Follow: Nick Bakay (Twitter), "Football Sage, Talking Cat, Writer, Actor, Ginge with a whole lotta soul"
Claim to Fame: It's Halloween, so we have something Halloween-themed for today's Follow Me: the guy who played the voice of Salem the Cat on Sabrina, the Teenage Witch. But his talents go much further than that. He also served as a writer for the series, was a producer on The King of Queens, and both acted in and produced 'Til Death. Before all of that, he had a recurring role in the "Dirty Dozens" game show sketches on In Living Color. And, if all of that hasn't kept him busy enough, he also spends time as a sports columnist and commentator, particularly with NFL football. Halloween is more than creepy decorations, candy and costumes. It's also about celebrating scary movies! The MeTV Network has lined up a wicked slate of TV tricks and treats for classic TV viewers. From sitcoms to westerns to superheroes, the schedule is filled with costumed characters and memorable monsters. 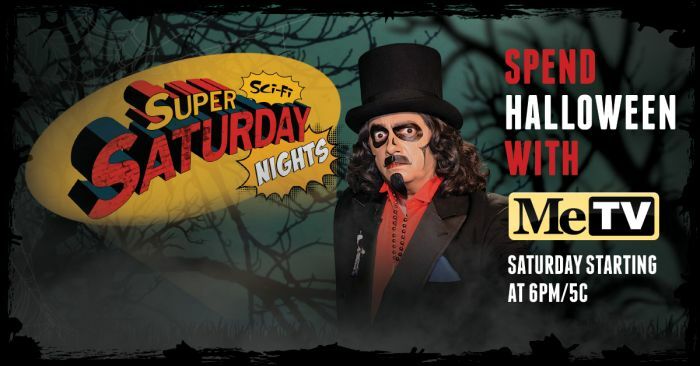 Saturday evening, Svengoolie (Rich Koz) will host Super Sci-Fi Saturday Night beginning at 6 PM/5 C. Superman, Batman, Wonder Woman and Spock will lead the lineup and then MeTV will feature a beautiful new print of Boris Karloff's Frankenstein (1931) at 10 PM/9 C.
Here is a rundown of the Halloween night lineup on MeTV this Saturday night. 7PM "The Black Widow Strikes Again"
7:30PM "Caught in the Spider's Den"
For the week of Nov. 2-6 2015, we have many current sitcom stars and past sitcom stars on TV talk shows! All times listed are Eastern. So get your DVRs (or whatever you use) ready! Ready? Here is all what you need to know for the coming week! Constance Wu (Fresh Off the Boat) - Watch Constance on Jimmy Kimmel Live! at 11:35pm on ABC. Bryan Cranston (Malcolm in the Middle) - Bryan drops by The Tonight Show Starring Jimmy Fallon at 11:34pm on NBC. Allison Janney (Mom/Mr. Sunshine) - Allison appears on The Late Show with Stephen Colbert at 11:35pm on CBS. She also chats about Mom on CBS This Morning sometime between 7-9am and on LIVE! with Kelly and Michael, so check your listings. Margaret Cho (All-American Girl) - Margaret is interviewed and performs on The Late Show with Stephen Colbert at 11:35pm on CBS. Eliza Coupe (Benched/Happy Endings) - Eliza is a guest on @midnight on Comedy Central at midnight. David Spade (Rules of Engagement/8 Simple Rules/Just Shoot Me!) - David stops by The Ellen DeGeneres Show, so check your local listings. 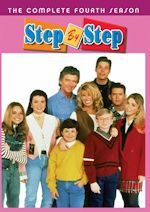 Katherine LaNasa (Three Sisters) - Katherine appears on Home & Family on Hallmark Channel at 10am ET/PT. Danielle Fishel (Girl Meets World/Boy Meets World) - Danielle drops by Home & Family on Hallmark Channel at 10am ET/PT. Beth Behrs and Kat Dennings (2 Broke Girls) - Beth and Kat dish with Rachael Ray - and all three ladies are going for broke in a messy cupcake showdown, so check your local listings. 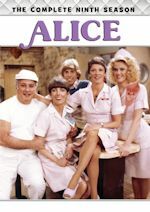 Charlotte Rae (The Facts of Life) - Charlotte is interviewed on Fox News (check back for time). Richard Kind (Spin City/Mad About You) - Richard Kind is a guest on the AOL Build Show at 11am. Christina Milian (Grandfathered) - Christina appears on Steve Harvey, so check your local listings. Allison Janney (Mom/Mr. Sunshine) - Catch Allison on Late Night with Seth Meyers at 12:36am on NBC. She will also be on HuffPost Live at 2:30pm. Alex Borstein (Family Guy/Getting On) and Greg Proops (True Jackson, VP) - Alex and Greg are guests on @midnight on Comedy Central at midnight. Topher Grace (That '70s Show) - Topher visits Watch What Happens: Live at 11pm on Bravo. Rebel Wilson (Super Fun Night) - Rebel appears on The Ellen DeGeneres Show, so check your local listings. Brie Larson (United States of Tara/Raising Dad) - Brie stops by The Meredith Vieira Show, so check your local listings. Mo'Nique (The Parkers) - Mo'Nique co-hosts The Dr. Oz Show and she will share with you 3 things no one ever tells you about shaving your legs, so check your local listings. Joe Morton (Grady) - Joe is a guest on New York Live on WNBC in New York at 12:30pm ET. Leah Remini (The King of Queens/The Family Tools/The Exes) - Leah chats with the ladies of The View on ABC at 11am ET/10am CT-PT. Richard Kind (Spin City/Mad About You) - Richard joins the Chew Crew on ABC's The Chew at 1pm ET/12pm PT/CT. Neil Patrick Harris (How I Met Your Mother/Stark Raving Mad/Doogie Howser, M.D.) - Neil will be on NBC's Today sometime between 7-9am. David Alan Grier (The Carmichael Show/Bad Teacher/Less Than Perfect) - David talks about The Wiz on NBC's Today in the 9am hour. 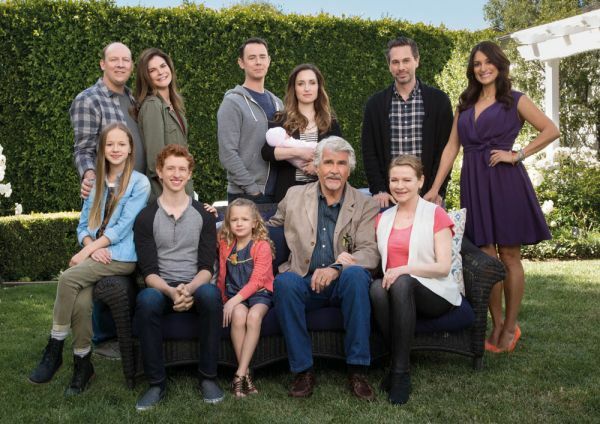 James Brolin (Life in Pieces) - James is a guest on NBC's Today in the 10am hour. He will also be on the AOL Build Show at 4:16pm. Aziz Ansari (Parks and Recreation) - Aziz appears on ABC's Good Morning America sometime between 7-9am. Toni Collette (United States of Tara) - Toni visits ABC's Good Morning America sometime between 7-9am. Mark-Paul Gosselaar (Truth Be Told/Saved by the Bell) and Tone Bell (Truth Be Told/Bad Judge) - Mark-Paul and Tone are guests on Steve Harvey, so check your local listings. Kathy Griffin (Suddenly Susan) - Kathy appears on Tavis Smiley on PBS, so check your local listings. Aziz Ansari (Parks and Recreation) - Watch Aziz on The Tonight Show Starring Jimmy Fallon at 11:34pm on NBC. Ken Jeong (Dr. Ken/Community) - Ken stops by The Late Late Show with James Corden at 12:37am on CBS. Leah Remini (The King of Queens/The Family Tools/The Exes) - Leah is a guest on Watch What Happens: Live at 11pm on Bravo. She will also be on The Wendy Williams Show at 12am on BET or on your local stations. Michael Keaton (Working Stiffs) - Michael appears on The Ellen DeGeneres Show, so check your local listings. Judy Greer (Married/Mad Love/Miss Guided) - Judy is a guest on a repeat of Conan at 11pm on TBS. Regina King (227) - Regina visits The Meredith Vieira Show, so check your local listings. She also talks about The Leftovers on NBC's Today in the 9am hour. Kim Fields (The Facts of Life) - Kim talks about The Real Housewives of Atlanta on New York Live on WNBC in New York at 12:30pm ET. Niecy Nash (Scream Queens/The Soul Man/Reno 911!) - Niecy joins the Chew Crew on ABC's The Chew at 1pm ET/12pm PT/CT. She will also be on New York Live on WNBC in New York at 12:30pm ET. Toni Collette (United States of Tara) - Toni talks about Miss You Already on NBC's Today in the 9am hour. Valerie Bertinelli (Hot in Clevelad/One Day at a Time) - Valerie cooks on NBC's Today in the 10am hour. Patti LaBelle (Out All Night) - Patti will be on NBC's Today in the 10am hour. Topher Grace (That '70s Show) - Topher is a guest on the AOL Build Show at 4pm. Martin Short (Mulaney/The Martin Short Show) - Catch Martin on The Tonight Show Starring Jimmy Fallon at 11:34pm on NBC. David Cross (Arrested Development/Running Wilde) - David appears on Jimmy Kimmel Live! at 11:35pm on ABC. Bryan Cranston (Malcolm in the Middle) - Bryan is a guest on The Late Show with Stephen Colbert at 11:35pm on CBS. He will also be on ABC's Good Morning America sometime between 7-9am. Regina King (227) - Regina visits Late Night with Seth Meyers at 12:36am on NBC. She will also be on Comedy Central's The Daily Show with Trevor Noah at 11pm. Paul Feig (The Jackie Thomas Show/Sabrina, the Teenage Witch) - Paul is a guest on The Late Late Show with James Corden at 12:37am on CBS. Michaela Watkins (Trophy Wife) - Michaela appears on Last Call with Carson Daly at 1:35am on NBC. Chris D'Elia (Undateable/Whitney) and Whitney Cummings (Whitney) - Chris and Whitney are guests on @midnight on Comedy Central at midnight. Adam Pally (The Mindy Project/Happy Endings) - Adam is a guest on a repeat of Conan at 11pm on TBS. Bernadette Peters (Mozart in the Jungle/All's Fair) - Bernadette helps Kelly and Michael give makeovers to some lucky mutts during Paw-fect Pet Week II on LIVE! with Kelly and Michael, so check your listings. 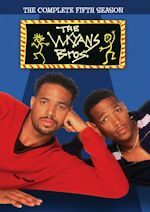 Will Smith (The Fresh Prince of Bel-Air) - Will appears on The Ellen DeGeneres Show, so check your local listings. Kim Fields (The Facts of Life) - Kim gives a sneak peak at the new season of the The Real Housewives of Atlanta and talks about why she decided to join the show on The Wendy Williams Show at 12am on BET or on your local stations. James Brolin (Life in Pieces) - James drops by The Meredith Vieira Show, so check your local listings. Leah Remini (The King of Queens/The Family Tools/The Exes) - Leah dishes on her new tell-all book Troublemaker: Surviving Hollywood and Scientology on Rachael Ray, so check your local listings. Michael Strahan Brothers) - Michael is a guest on The Dr. Oz Show, so check your local listings. Hudson Yang (Fresh Off the Boat) - Hudson stops by Home & Family on Hallmark Channel at 10am ET/PT. Valerie Bertinelli (Hot in Cleveland/One Day at a Time) - Valerie appears on New York Live on WNBC in New York at 12:30pm ET. Topher Grace (That '70s Show) - Topher is a guest on New York Live on WNBC in New York at 12:30pm ET. Bob Saget (How I Met Your Mother/Surviving Suburvia/Full House) - Bob joins the co-hosts to weigh in on Hot Topics on The View on ABC at 11am ET/10am CT-PT. Allison Janney (Mom/Mr. Sunshine) - Allison joins the Chew Crew on ABC's The Chew at 1pm ET/12pm PT/CT. Niecy Nash (Scream Queens/The Soul Man/Reno 911!) - Niecy will be on HuffPost Live at 12pm. Whoopi Goldberg (Whoopi/Bagdad Cafe) - Watch Whoopi on The Late Show with Stephen Colbert at 11:35pm on CBS. Allison Janney (Mom/Mr. Sunshine) - Allison is a guest on a repeat of The Late Late Show with James Corden at 12:37am on CBS. Jesse Tyler Ferguson (Modern Family/The Class) - Jesse will be a guest on a repeat of The Late Late Show with James Corden at 12:37am on CBS. Niecy Nash (Scream Queens/The Soul Man/Reno 911!) - Niecy appears on The Meredith Vieira Show, so check your local listings. Terry Crews (Brooklyn Nine-Nine/Are We There Yet?/Everybody Hates Chris) - Terry shows you if “as seen on TV” exercise gadgets are a fix or fail on The Dr. Oz Show, so check your local listings. Will Forte (The Last Man on Earth) - Will is a guest on Popcorn with Peter Travers on ABC News. Toni Collette (United States of Tara) - Toni chats with the ladies of The View on ABC at 11am ET/10am CT-PT. John Slattery (Maggie) - John talks about Spotlight on NBC's Today in the 9am hour. Emeril Lagasse (Emeril) - ABC's Good Morning America has Emeril's funniest food moments sometime between 7-9am. Mary Steenburgen (Ink) - Mary is a guest on The Talk on CBS at 2pm ET/1pm CT-PT. Corey Fogelmanis (Girl Meets World) - Corey discusses Girl Meets World on the AOL Build Show at 12pm. Regina King (227) - Regina talks about The Leftovers on HuffPost Live at 12pm and on the AOL Build Show at 1pm. Fox now has ordered a full season of Tuesday night freshman comedy Grandfathered, joining fellow Tuesday comedy The Grinder in getting a full season 22-episode pick-up. Season to date, Grandfathered has delivered year-over-year gains, increasing Fox's average in the time period by +70% versus last fall among Adults 18-49. In Nielsen's Live+7 ratings, Grandfathered is averaging a 2.1/8 in that key demographic. In the next all-new episode of Grandfathered, "Edie's Two Dads," airing Tuesday, Nov. 3 at 8:00 PM ET/PT (if no World Series Game 6) on Fox, Gerald (Josh Peck) can't make it in time for Edie's interview at the most elite pre-school in the area, so Jimmy (John Stamos) steps in to help out. But once he meets the admissions counselor (guest star Joanna Garcia Swisher), he accidentally starts a lie that takes on a life of its own. 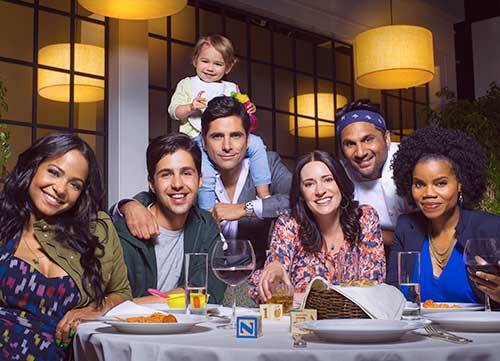 Besides Stamos and Peck, the series stars Christina Milian, Kelly Jenrette, Paget Brewster and Ravi Patel. A mid-season replacement is coming for The Player, the NBC Thursday night drama which had its episode order reduced from 13 to 9. Shades of Blue, NBC's new police drama starring multi-hyphenate talent Jennifer Lopez and Emmy Award winner Ray Liotta, will debut Thursday, Jan. 14 at 9 pm with a special two-hour premiere event. The two-hour premiere will be directed by Oscar and four-time Emmy Award winner Barry Levinson. The show will move to its regular 10pm timeslot the following Thursday, Jan. 21 after The Blacklist at 9. For Lopez, who is a global superstar, it marks her first foray into dramatic television. The show features an all-star cast, including Emmy Award-winning actor Ray Liotta and Drea de Matteo, best known for her role on HBO's iconic series The Sopranos. In the series, Harlee Santos (Jennifer Lopez) is a charismatic single mother and resourceful detective at the heart of a tight-knit crew of Brooklyn detectives, led by enigmatic Lt. Matt Wozniak (Ray Liotta) who often leads the team to step outside the limitations of the law in order to effectively protect their precinct and their own. As a big illegal job looms on the horizon, the FBI catches Harlee in the act and pits her against her own unit. As a newly turned informant, Harlee struggles to safeguard her on-the-job family and avoid arrest in order to stay with her daughter. Harlee engages in a perilous dance with her FBI handler, Special Agent Stahl (Warren Kole), who develops an unhealthy obsession with her. Meanwhile, Wozniak, acting as the unit's patriarch, begins an all-consuming hunt for the informant. Pressure mounts as the crew struggles to perform their brand of street justice under FBI watch. 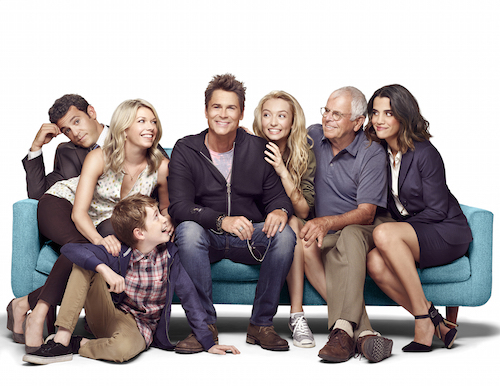 Fox has ordered a full season of 22 episodes of new comedy The Grinder. Season to date, The Grinder has delivered year-over-year gains, lifting Fox's average in the time period by +70% among Adults 18-49 versus last fall. In the next all-new episode of The Grinder, "A Bittersweet Grind (Une Mouture Amer)," airing Tuesday, Nov. 3 at 8:30PM ET/PT (if no World Series Game 6), just as Dean (Rob Lowe) prepares to give up on what he thinks is a hopeless search for love, he is reunited with Gail (guest star Christina Applegate), an old flame who restores his belief in romance. Meanwhile, Deb (Mary Elizabeth Ellis) encourages Stewart (Fred Savage) to change his strict ways and let Lizzie (Hana Hayes) have a supervised date with Joel Zadak (guest star Johnowen Lowe). Meanwhile, CBS has given a full-season, 22 episode order to Life In Pieces. The new comedy is averaging 10.26 million and 3.5/9 Adult 25-54 rating/share. In its most recent broadcast on Oct. 19, Life In Pieces delivered its highest live plus same day adult 18-49 rating since its series premiere. On Nov. 5, Life In Pieces moves to it new regular time period on Thursdays at 8:30PM, ET/PT as part the Network's launch of entertainment programming on the night. The comedy will continue to follow #1 rated comedy The Big Bang Theory. Dianne Wiest, James Brolin, Zoe Lister-Jones, Colin Hanks, Angelique Cabral, Thomas Sadoski, Betsy Brandt, Dan Bakkedahl, Niall Cunningham, Holly J. Barrett and Giselle Eisenberg star. 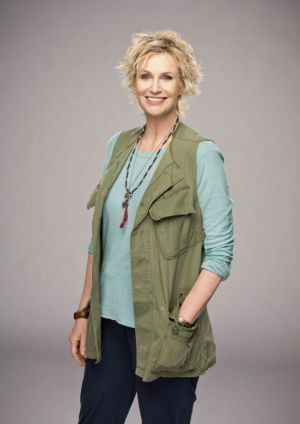 CBS and People's Choice Awards announced that multiple award-winning actress Jane Lynch will host People's Choice Awards 2016, live from the Microsoft Theater, Wednesday, Jan. 6, 2016 from 9:00-11:00 PM, live ET/delayed PT on the CBS Television Network. Lynch stars in the upcoming CBS comedy Angel From Hell, scheduled to premiere in February 2016. Lynch is a four-time People's Choice Award nominee and won for Favorite TV Comedy Actress in 2011 for Glee. The final nominees across 65 categories for People's Choice Awards 2016 will be announced at the annual Nominations Announcement Press Conference on Tuesday, Nov. 3, 2015 at the Paley Center for Media in Beverly Hills. As for Lynch's upcoming new comedy, Angel From Hell, it is a new comedy about Amy (Lynch), a colorful, brassy woman who insinuates herself into the life of an organized and seemingly perfect young woman, Allison (Maggie Lawson), claiming to be her "guardian angel." Returning to the same stage where he brought his acerbic sense of humor to Hollywood, Ricky Gervais has been named host of the 73rd Annual Golden Globe Awards(R), set for Jan. 10, 2016 at the Beverly Hilton Hotel. The three-hour ceremony serves as the official kick-off to awards season and will be aired live coast to coast from 8-11 pm ET on NBC. 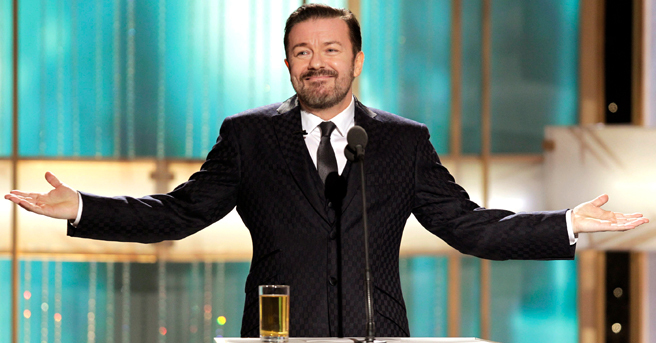 Gervais hosted the Globes for three consecutive years (2010-12) when the network registered ratings gains from the previous two telecasts. Over that 2010-12 span, the Golden Globes averaged a 5.2 rating in the 18-49 demo and 17 million viewers overall, which was a 6% increase from the 2009 telecast in the demo and 14% or 2.1 million persons in total viewers (17.0 million vs. 14.9 million). Gervais first introduced himself to global audiences with his 2001 British TV hit The Office, in which he starred as his tragic creation, David Brent. The Office would soon become a wildly successful global format, including an Emmy-winning nine-season run on NBC. Gervais is about to continue The Office saga by directing his fourth Hollywood movie, David Brent: Life on the Road. Following The Office, Gervais starred and created a string of HBO projects: Extras, Life's Too Short and The Ricky Gervais Show, which was based on his record-breaking podcast that has been downloaded more than 500 million times. On the film side, Gervais has co-starred in several features, including the Night at the Museum franchise, Muppets Most Wanted, Ghost Town and The Invention of Lying, and is currently putting final touches to Special Correspondents, which he wrote and co-directed. As a stand-up comedian, Gervais has sold over 2 million tickets in arenas around the world. He is also the author of the popular children's book series "Flanimals." Nominations for the Golden Globes will be announced Thursday, Dec. 10. Winners in 25 categories - 14 in film and 11 in television - are voted on by the Hollywood Foreign Press Association. Stay with us for the nominations and of course the winners a month later on Jan. 10. 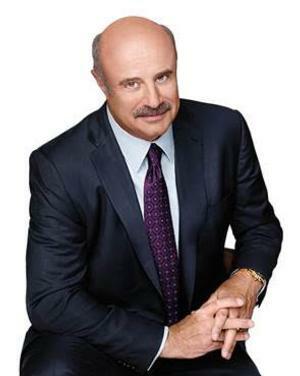 Dr. Phil McGraw will guest star on the new Fox comedy Grandfathered. McGraw will play Dr. Bateman, the first doctor Jimmy (John Stamos) has seen in more than 20 years. Grandfathered is a coming-of-middle-age comedy starring John Stamos (Full House, ER) as the ultimate bachelor whose life is turned upside down when the son (Josh Peck, The Mindy Project) he never knew he had walks in to his life and informs him he's not only a father, but a grandfather. Grandfathered returns with all new episodes beginning Tuesday, Nov. 3 @ 8/7c on Fox with guest star JoAnna Garcaia-Swisher, if there is no game six of the MLB World Series between the NY Mets and the Kansas City Royals. John Stamos' Full House pal Dave Coulier will guest star on the Nov. 10 episode. There is no word yet on when the Dr. Phil episode will air, so stay tuned. ABC Family revealed its winter premiere dates for new scripted drama Recovery Road and fan favorites The Fosters, Young & Hungry, and Baby Daddy. These series join previously announced January premieres for Pretty Little Liars and Shadowhunters. As a reminder, ABC Family is becoming Freeform in January 2016. The critically acclaimed family drama The Fosters returns with new episodes on Monday, January 18 at 8:00pm ET/PT. Guest stars this season include Rosie O'Donnell, Annie Potts, Rob Morrow, and Kelli Williams. Recovery Road premieres right after on Monday, January 18 at 9:00pm ET/PT. The series stars Jessica Sula, Alexis Carra, Sebastian De Souza, Daniel Franzese, Sharon Leal, Kyla Pratt, and David Witts. Moving on to comedy, Young & Hungry season three premieres on Wednesday, February 3 at 8:00pm ET/PT. In October's season finale, Gabi drove off in a food truck with Josh's younger brother, Jake, leaving a conflicted Josh to stand there and watch her leave. The series stars Emily Osment, Jonathan Sadowski, Rex Lee, Aimee Carrero, and Kym Whitley. The winter premiere of Baby Daddy, premieres on Wednesday, February 3 at 8:30p.m. ET/PT. The premiere picks up with Riley reacting to Danny's surprising marriage proposal. Guest stars this season include Mary Hart, Daniella Monet and Jonna Walsh. And finally, ABC Family announced the network has picked up a fifth season of its hit original drama series Switched at Birth. The series will reach a milestone 100 episodes in the upcoming run. The fourth season finale airs tonight (October 26) at 8:00PM ET/PT on ABC Family. Season five will premiere sometime in 2016, so stay tuned. Disney XD has ordered Walk the Prank, a series that blends comedic storytelling with hidden camera reality pranks. Created by Adam Small (MAD TV, Jamie Kennedy Experiment) and Trevor Moore (Whitest Kids U Know), Walk the Prank will begin production in January and is scheduled to premiere later in 2016. Shot in a cinema verité style, the single-camera series follows a team of practical jokesters who create hilarious over-the-top pranks for an online hidden camera show. The series stars newcomers Cody Veith (Nicky, Ricky, Dicky & Dawn) as Chance, Bryce Gheisar (Dream Chasers) as Herman, Jillian Shae Spaeder (Theatre and Me's the Bully) as Bailey, Brandon Severs (Nicky, Ricky, Dicky & Dawn) as Dusty, and Tobie Windham (The Wesley's) as Will, Dusty's uncle. Households: #1. CBS 7.24/12 rating/share (+6% in rating from first four nights week 4); #2. ABC 4.67/8 (+4%); #3. NBC 4.64/7 (-1%); #4. Fox 3.00/5 (even); #5. The CW 1.03/2 (-3%). Total Viewers: #1. CBS 11.682 million (+7% from first four nights week 4); #2. NBC 7.363 million (-1%); #3. ABC 7.162 million (+5%); #4. Fox 4.775 million (+2%); #5. The CW 1.565 million (-8%). Adults 18-49: #1. CBS 2.70/9 rating/share (+11% in rating from first four nights week 4); #2. ABC 1.78/6 (+7%); #3. NBC 1.76/6 (-3%); #4. Fox 1.54/5 (+1%); #5. The CW 0.61/2 (-10%). We have previous week's final ratings, Week 4 (10/12/15-10/18/15, LIVE+SD). NBC won the week in A18-49, thanks to Sunday Night Football, as NBC did a 2.38 rating. CBS was #2 with a 2.13 rating. ABC was #3 with a 1.53 rating, while Fox was #4 with a 1.32 rating. Among total viewers, CBS was #1 with 10.357 million, with NBC #2 at 8.353 million. ABC was #3 with 6.141 million and Fox at #4 with 4.195 million. For season to-date (9/21/15-10/22/15, LIVE+SD), NBC is #1 in A18-49 with a 2.39 rating, followed by CBS at #2 with a 2.25 rating. ABC is #3 with a 1.65 rating and Fox at #4 with a 1.51 rating. Among total viewers it is CBS #1 at 10.618 million, followed by NBC at #2 with 8.429 million, ABC #3 with 6.546 million and Fox #4 with 4.412 million.